Make your bathroom more comfortable and warmer with the Broan 655 Heater and Heater Bath Fan with Light Combination. This unit comes equipped with a 1300 Watt high-output heater to warm your bathroom, 100 watt incandescent lighting and integrated nightlight to ensure your bathroom is brightly lit with no need for additional fixtures. Fan, light and heater can function together or independently depending on your needs. Easy to install. 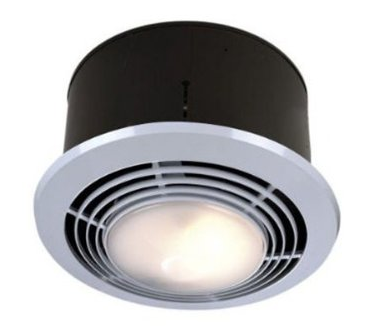 Smaller, quieter, warmer, and easier to install, the Panasonic FV-11VHL2 WhisperWarm 110 CFM Ceiling Mounted Fan/Heat/Light-Night-Light Combination makes a great addition to any bathroom. The unit uses a tubular, stainless-steel-sheathed heating element which features Nichrome wire with magnesium oxide for optimal heat transfer. You will also love the fact that the the fan is quiet enough that you might not even know it is on. 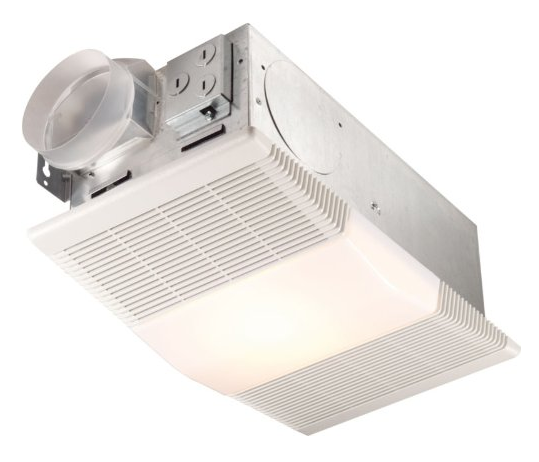 Now you won’t feel cold while showing even in the cold winter with the Broan Model 659 Heater/Fan/Light. 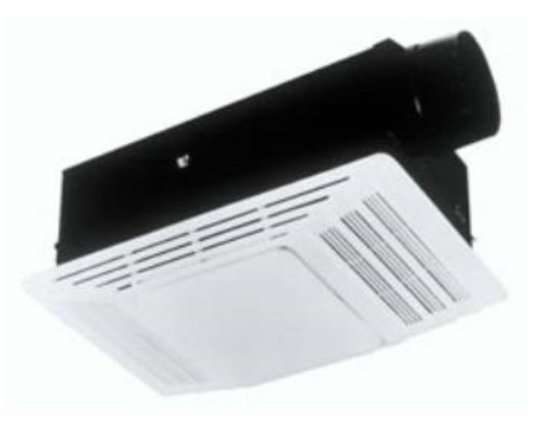 This 50-CFM bathroom fan with heater unit features a 1300 Watt high-output heater to keep your bathroom comfortable and warm. With the 100 watt incandescent lighting and integrated nightlight, your bathroom is brightly lit without the need for additional fixtures (bulb not included). There are also 2 blower wheels to ensure high-efficiency performance. Add both comfort and convenience to your bathroom with the 9093WH Heat-A-Ventlite by Nutone. 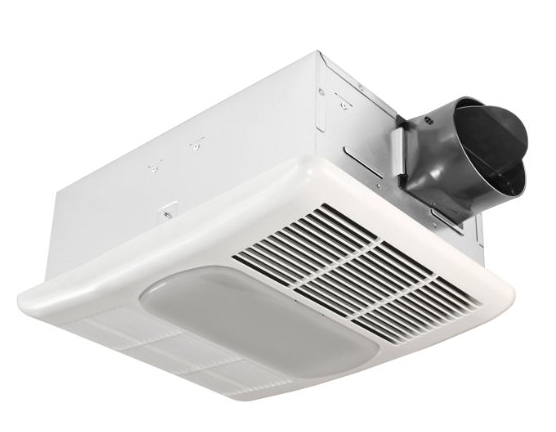 Combining a 1500-watt 70 CFM fan-forced heater, a powerful air ventilator, and a bright ceiling light in one, this 4-function ceiling unit will be a great investment. It features electronically balanced centrifugal blower wheel for even heat distribution. Thanks to the sleek one-piece diecast grille with a pebble-texture bezel and its 8-inch-diameter glass lens, the unit gives a stylish, yet inconspicuous addition to the room. Includes on/off wall switch. 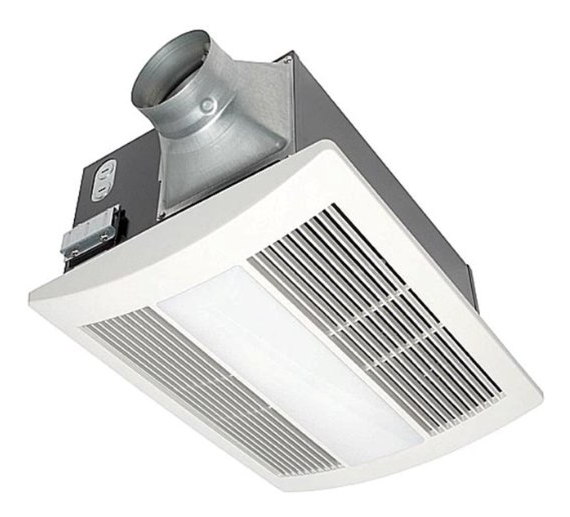 Functioning as a 70 CFM exhaust fan, a 100-watt light, and a 1250-watt fan-forced heater, the NuTone 665RP Heat-A-Ventlite 70 CFM Exhaust Fan is perfect for use in a smaller size bathroom. 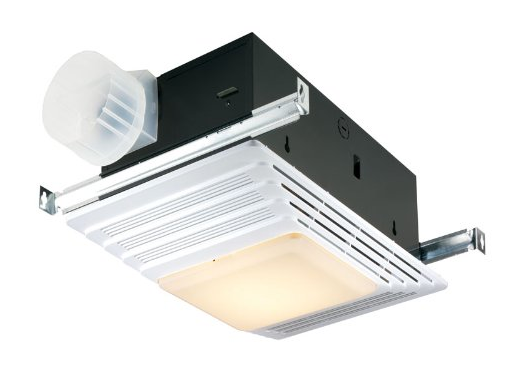 The unit features white polymeric grill for safety, and uses a 100-watt incandescent bulb which is not included. Includes color-coded wiring, a ground lead, four-way adjustable hangar bars, and mounting clips for easy installation.